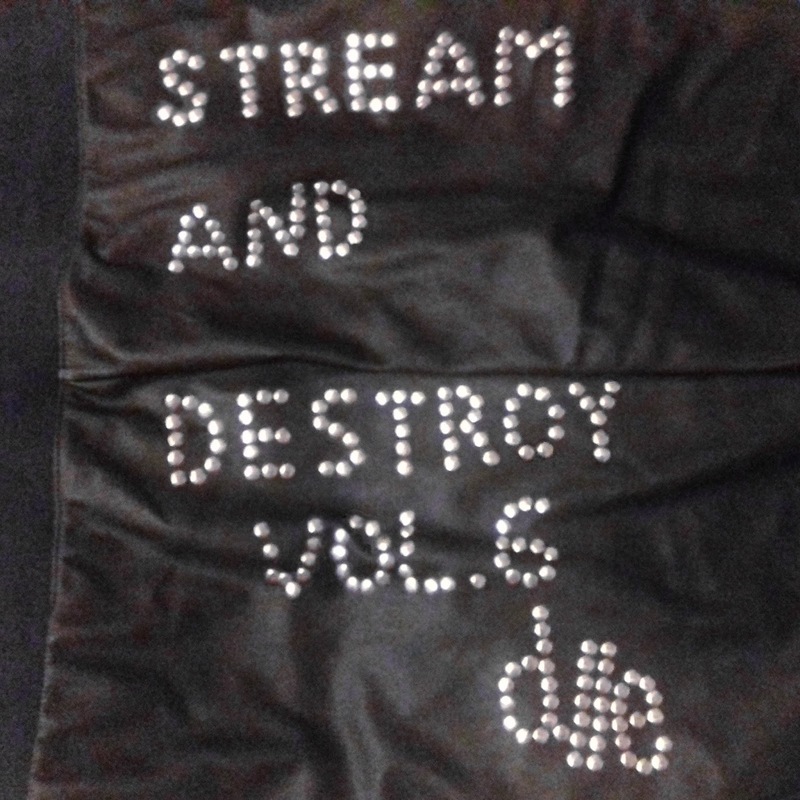 Stream And Destroy Vol. 6 features a dozen spotlight tracks, fueled from submissions and cuts from what D//E grooved to during May 2018. The dark Americana storytelling qualities in the music of Jaye Jayle, a band which started as the solo project of Young Widows guitarist and vocalist, Evan Patterson, and evolved into a full group, bare something very Lynchian, but also completely original too. The band's coming album, No Trail And Other Unholy Paths, is produced by longtime David Lynch collaborator, Dean Hurley, and it due out June 29th via Sargent House. In a similar manner, Fotocrime began as the darkwave/post punk solo medium of Ryan Patterson, guitarist and vocalist of Louisville punks, Coliseum. After the impressive debut EP, Always Hell, from last year, Fotocrime return with a fantastic long player as a full band, which sounds fitted to be on our heavy rotation in the following months. On their just released EP, We Might Not Make Tomorrow, London's Girls In Synthesis come out sounding even more biting that before. The trio had our heads turn their way through their brilliant EP and single releases from last year, and now affirm that there is no stopping to their post punk dynamism. Go! is an old favorite by Tones On Tail, reworked alongside other classic by founding Bauhaus members, Daniel Ash and Kevin Haskins. Poptone re-imagine some of the songs of Bauhaus, Love And Rockets, Tones On Tail and more, and it's a no-brainer for anyone ever affected by those celebrated musicians' creativity. Hungarian up and comers, Gustave Tiger, offer a charming fusion of post punk and new wave on their delightful new single, New Light of Myanmar, which chronicles a Cold War era story, a lesbian spy romance between two beautiful and mysterious women. Canada's Deux Trois are two for two with their singles so far, and they will certainly be on our radar in the future, as will be Colorado's dark shoegazers, Tyto Alba, whose latest single, Somnambulist, comes highly recommended for its thick and dreamy sound and aesthetics. Tasteful imagery and aesthetics, and a striking dark mixture of punk, new wave and synthpop is also found in the music and stylings of the much promising Provoker, from San Jose, California. It looks like we'll be hearing much more from Australian riot grrrl punks, Voiid, whose vigorous singles and "take no prisoners" attitude are just unmissable, channeling much from the female indie punk bands from the beloved nineties in the best way possible. Indie nineties vibes are a big part of the sound of Chicago's Kate Renegade as well, who return with another single, engineered by Steve Albini. The harmonious single by London trio, Blackaby, Georgie Wants A Garden, is the latest addition to RIP Records' commendable Introduces Series, while Portland's Sunbathe have set the bar pretty high with their debut from last year, gearing up for another release and keeping on building their reputation through their live appearances.